Enedwaith, the last new zone in Lord of the Rings Online, came out in September 2010. With that region more than played out by most gamers, it's time to turn south once again as the Rangers head towards their king, Aragorn. This time, the new 30 chapter epic book takes players through Dunland, the Gap of Rohan, and even into Isengard itself to meet the fallen wizard Saruman. 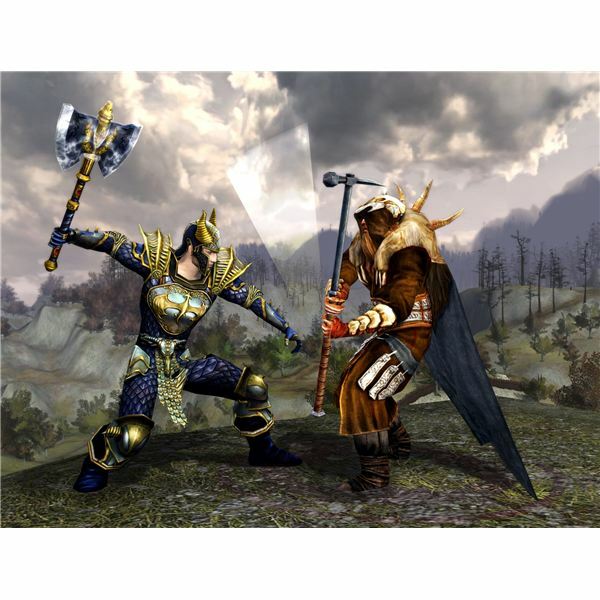 Rise of Isengard has hundreds of new quests spread out over three new zones, a revamped skirmish system, and free PvMP for all. Read our LotRO: Rise of Isengard review to see how well the expansion delivers on its promises and whether or not Turbine can still craft an authentic Middle-earth. Dunland doesn't offer any overt surprises, and it feels like a mash-up between the Lone Lands, Enedwaith, and the North Downs. There's a haunted forest, woodlands, lakes, steep hills, and deep valleys. It is also very big. I spent about 20 hours in Dunland itself just leveling up from 65 to 70, and there's something just gratifying about leveling that you don't feel from getting better gear or earning an extra virtue level. Once I braved the long queue and got back into Middle-earth, I was delighted to see the blue +418 XP message flash on my screen after killing a wolf in the new area. That's a message I haven't seen on my main character in over a year. From Dunland, I headed down into the Gap of Rohan, becoming acquainted with the Rohirrim guarding the Ford of Isen against a horde of Dunlendings. If you've read the books or seen the movies, you know what eventually happens there, but I won't spoil those events for anyone who hasn't. At this point in the game however, the Rohirrim still aren't sure what's up with Saruman, and they're guarding Rohan against their ancestral enemies. They have absolutely no idea about what's going on in Isengard. More suddenly than I would have liked, I'm heading up into Isengard itself to scout things out. The Rangers are pretty sure Saruman is a pretty evil character, but nobody seems to know exactly how bad things have gotten. Of course, that responsibility somehow falls on your shoulders. The epic book here becomes awesome, creating one of the most memorable experiences in the entire game. Where Mirkwood and Enedwaith were nice additions to the game, they just didn't feel as connected to the books as the Gap of Rohan and Isengard. Players who have been waiting to see the next easily recognizable landmark after Rivendell or Moria will not be disappointed, and the story is every bit as excellent so far as the original Shadows of Angmar back in 2007-2008. Like with any full expansion, classes were significantly changed, especially champions and minstrels. SInce I primarily play a champion, I'm biased towards the class, but I can say I love both the DPS increase we've received and the tanking changes. Instead of throwing on a shield, champions tank by tossing on their Glory stance and dual wielding or using a two hander. Champions build threat by actually taking damage, and it's much harder to pull aggro in Fervour now that many of the skills, like Wild Attack, don't build extra threat except in Glory. Minstrels have had their ballads completely redone, and the ballad buffs remain active while they're in combat instead of for a fixed amount of time. However, the buffs are slightly less powerful than before, and they can only choose one from each major, minor, and perfect ballad. Still, these buffs allow minstrels to focus on attacking enemies or healing fellowship members. War speech also allows minstrels to heal themselves now, which is perfect for soloing and Ettenmoors play. Other classes received more moderate tweaks. Wardens tank better and do a bit more DPS while captains can stack might for both DPS and outgoing healing at the same time. Hunters, runekeepers, and lore-masters received tweaks to their trait lines, and burglars and guardians were practically untouched save for burglars' main stat switching to agility instead of might, allowing them to increase both DPS and avoidances. Feedback has been pretty positive across the board, with agreement far outweighing any complaints. Sadly, there's almost no new group content in Rise of Isengard. 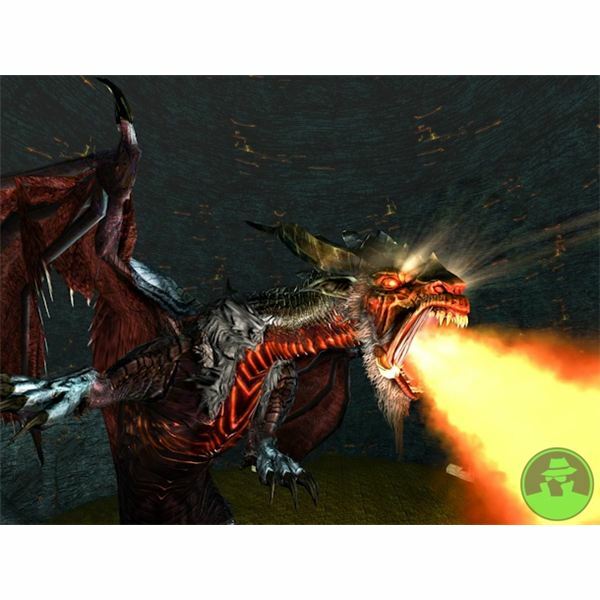 Draigoch, the 12- or 24-man raid, requires a solid group of players to kill a huge dragon. Remember Thorog, the reanimated dragon from Helegrod? Draigoch is easily four times larger. It's a fun, if slightly too long, fight, but any players who want to run 3- and 6-man fellowship instances will be greatly disappointed. I'd probably assign this category a 2-star rating except that for several factors: skirmish raids, scaled up instances, and the upcoming December update which promises a new instance cluster. On skirmish raids, players could always run skirmishes in a 12-man raid, but Turbine finally made it worth the effort by giving each skirmish campaign a unique loot table with arguably the best jewelry in the game. Some of the armor and weapons are decent too, but the jewelry takes the cake. Tons of classic instances have also been scaled up to level 75. While players have been able to run through them for years, it's nice to know that we can still fight our way through the Great Barrows, Annuminas, Helegrod, and Tham Mirdain. 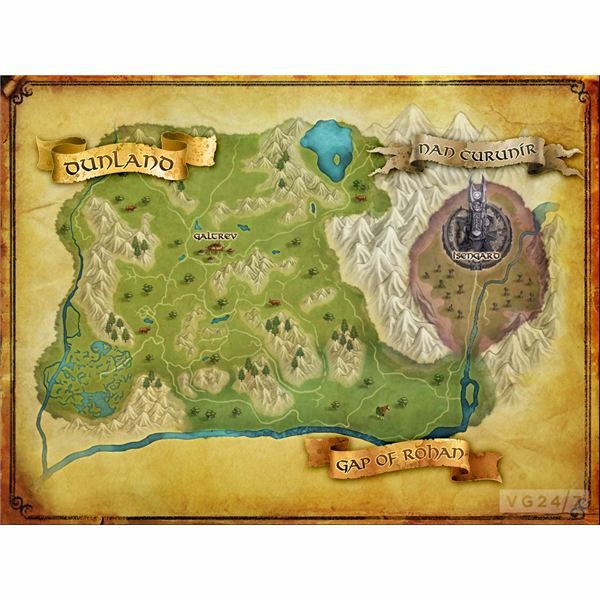 However, I wish that Turbine would also scale up Carn Dum, Fornost, Garth Agarwen, Moria, the Rift of Nurz Ghashu, and Dol Guldur, even if those instances only drop skirmish marks or other generic loot. Many of those instances are a ton of fun, but there's no challenge if the mobs inside are level 50. Finally, December's update should give us a bunch of new instances and hopefully some new skirmishes too. There's not too much information available yet, but that's not stopping players from anticipating (and hoping) that we'll soon have half a dozen new instances to play through. The other big change in Rise of Isengard is PvMP. For the first time, F2P (free to play) gamers can play in the Ettenmoors as a reaver (the other monster classes cost Turbine points). Also, every monster class skill is available for purchase regardless of rank, so the Ettenmoors should see a large influx of new players testing it out. A recent patch boosted monster players up with 40% more out of combat morale regen and an across-the-board 20-30% DPS increase, making them much more competitive against the free peoples. Crafting was also simplified for the brand new crafting tier, called Westfold for the Rohirrim's style of crafting. Armorsmiths, jewelers, and weaponsmiths all use one type of metal ore, and many of the new recipes require reputation with either the Dunlendings or Rohirrim. For the first time, gathering professions (prospecting, forestry, etc.) require these reputation recipes. The crafted gear, as a whole, is very solid, but the raid and PvMP gear is generally better. Still, casual players can gear up fairly well if they're willing to invest time and money into crafting or purchasing the gear off the auction house. Rise of Isengard marks a return to the Middle-earth we all know and love, and the epic story reaches the quality of volume I, Shadows of Angmar, a story quality which Mines of Moria never aspired to. Maybe I just thought the dwarves had it coming to them for digging too deep (again and again), but I never cared about helping them out, and Mirkwood seemed tacked onto the end of volume II. Were it not for the lack of instances, I'd be willing to give Rise of Isengard a perfect score for being as good an expansion to LotRO as we could hope for, but Dunland won't be complete until I can run through it with five of my fellow heroes. Images from LotRO.com, Gamespy, and VG247. Turbine, Inc. 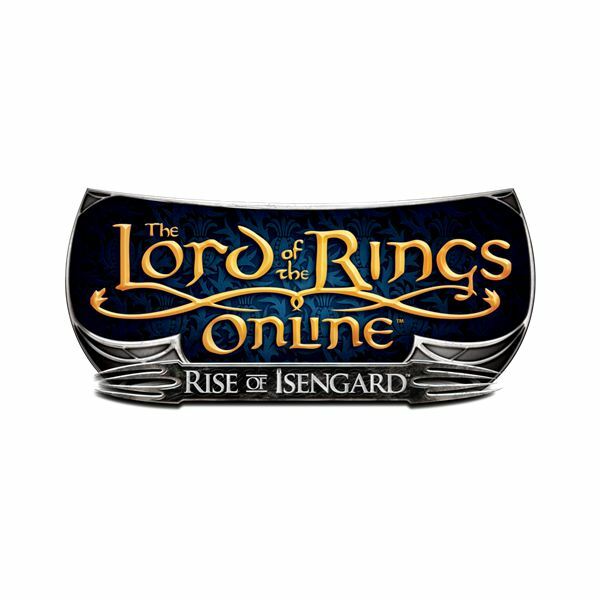 The Lord of the Rings Online: Rise of Isengard. Turbine, Inc., 2011. Microsoft Windows. Bright Hub’s complete coverage of The Lord of the Rings Online’s newest expansion pack, Rise of Isengard, starts right here. Learn about the level cap increase, new raids, and class, skirmish, and crafting changes in addition to the upcoming update in December.